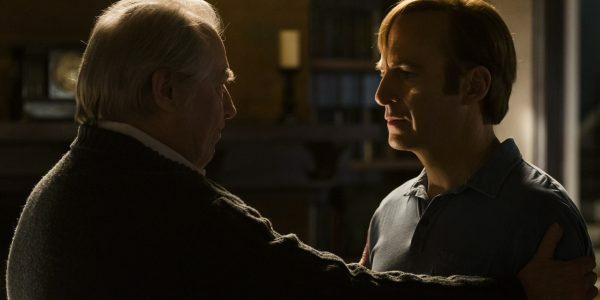 "How Better Call Saul made me care about Chuck"
Warning: This review will contain spoilers for the third season of Better Call Saul, including the season finale. [caption id="attachment_99574" align="aligncenter" width="600"] Michael McKean as Chuck McGill, Bob Odenkirk as Jimmy McGill - Better Call Saul Photo Credit: Michele K. Short/AMC/Sony Pictures Television[/caption] I hated Chuck McGill. He was that guy who was so hung up on how the world saw him that he almost always failed to recognize the damage he was doing to those he claimed to care about. His job as the best darn lawyer at HHM was more important to him than anyone. He would get threatened at the smallest sign that he might be losing his role as the best, smartest, most beloved McGill brother, lashing out at his brother Jimmy in a reckless manner. Hell, he eventually became so threatened by Jimmy that he orchestrated a sting in an attempt to get Jimmy disbarred. Chuck was also a troubled man, consumed by mental illness and pride (which would prove to be a deadly combination, especially when combined with a camping lantern). I hated Chuck McGill, but his death in the season three finale of Better Call Saul absolutely broke my heart. That’s how good this show is. It built up a character with the full knowledge that the masses would actively despise him (and everyone involved in the series is well aware of the hatred and disgust Chuck inspired in the fanbase), and then crafted an episode that made us all empathize with the man at his bleakest, rather than gleefully watch the monster fall. That sequence of Chuck tearing about his house was one of the most uncomfortable scenes I've watched on television, but so completely effective. And Chuck’s prideful arrogance led to some awful things in “Lantern.” His refusal to back down and go quietly into the dark night of retirement led to Howard cutting him a $3 million check out of his personal funds (supplemented by several personal loans), something Chuck never wanted (he wanted HHM to kowtow to his pressure and welcome him back into the role of respected elder statesman, the only role Chuck would accept). He delivered a scathing speech to his little brother (who had come over, hoping to repair their relationship and to check on Chuck’s health), breaking Jimmy’s spirit and shattering the bond between them once and for all. But we know that Chuck loved Jimmy, even if his pride wouldn’t allow him to admit it openly. 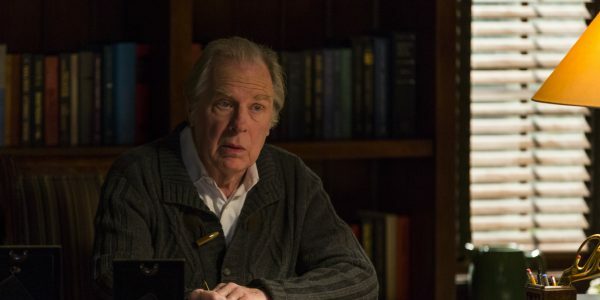 [caption id="attachment_99573" align="aligncenter" width="600"] Michael McKean as Chuck McGill - Better Call Saul Photo Credit: Michele K. Short/AMC/Sony Pictures Television[/caption] While that final tirade can be read as Chuck lashing out at Howard (his work little brother) through Jimmy (his biological little brother), it could just as easily be read as a suicidal man taking extreme measures to ensure that no one comes looking for him in the end. Because from the moment Chuck walked out the doors of HHM, the only possible ending for him was taking his own life. Not only was the episode structured carefully to make that the only inevitable ending, but Chuck’s character was crafted with that as the only end. Left without his identity, there was nothing left for Chuck to cling to. There was no reason to get better if he wouldn’t be able to return to his position as the king of HHM, the feared and respected partner of a prestigious firm, and, coincidentally, a way to prove himself better than the brother who tried to take him down. Chuck was a character so enmeshed in his own ego, so driven by a desire to be seen as the best (hell, to just be seen, period), that losing what he held most dear was always going to be the nail in his coffin. And even knowing that, seeing the signs leading to his death from the moment Howard handed him that check, Chuck’s suicide still emotionally resonated. This is a microcosm of exactly why Better Call Saul, as a series, works so incredibly well. Most people who watch Better Call Saul have watched Breaking Bad. They know how things end for several of these characters. And, even if they haven’t watched the mothership, the audience knows that, at some point in the future, Jimmy is working in a mall Cinnabon in Omaha, under an assumed name, far removed from the Albuquerque courthouse. But even knowing Jimmy’s eventual fall, and knowing what becomes of Mike, Gus, and Hector once they meet a man called Heisenberg, Better Call Saul manages to keep us invested each week. To keep us caring about people we know will climb high and fall just as far in the end. 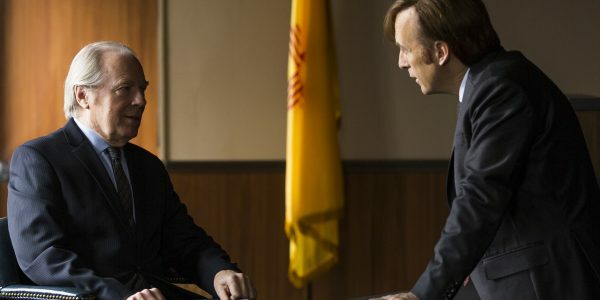 [caption id="attachment_99571" align="aligncenter" width="600"] Michael McKean as Chuck McGill, Bob Odenkirk as Jimmy McGill - Better Call Saul Photo Credit: Michele K. Short/AMC/Sony Pictures Television[/caption] And that’s the real beauty of this series (not taking into account the visual beauty, because that’s second to none): Vince Gilligan and Peter Gould have managed to keep our attention when we know enough of the ending to easily walk away. We know Jimmy will become Saul, and then become Gene. We know where Mike’s story ends, and what happens to Gus and Hector. We don’t know what happens to Howard, Nacho, or Kim, but we can certainly guess. I assume Howard just keeps on practicing. Nacho might well be alive in the Breaking Bad years, in prison, most likely, or he could meet a darker fate (that look Gus gave him in the finale was the look of a man who knows Nacho’s secret). As for Kim, well, it’s starting to look like the reason she doesn’t appear in Breaking Bad might be more distressing to learn about that we all hoped. But we care just as much about the characters we’ve known for years (and loved for years) as we do about the ones we’ve only known since the start of the series. Hell, I care more about what happens to Kim at this point than I do about seeing the Gus and Mike partnership begin to flourish. Even knowing that there’s only tragedy at the end of this story, I still find myself excited to sit and watch the show each week. I know what happens to Jimmy, but that doesn’t mean I know the thing that tips him into the world of Saul Goodman (although the first major nudges in that direction, losing his elder law practice and the presumed guilt over Chuck's death combined with Chuck's final words to him, have occurred). I dread the moment Jimmy disappears into a dirty lawyer with flashy suits. But I still want to see it occur. Better Call Saul might never reach the rapturous heights of Breaking Bad, but it is still one of the best shows currently on television. The loss of Chuck will only serve to enhance the series, and hasten Jimmy's fall from grace. Despair over the death of a love one can cause people to do some crazy things. But anger over that loss can resonate even more. I doubt it's a coincidence that the last speech from Chuck predicted exactly who Jimmy would become once he stopped caring about those around him and started caring only about himself. The change is coming. And I can't wait to see it occur. Even though it will, once again, break my heart.